1: Which areas do you cover? We currently cover Dubai marina, Al barsha, The lakes, Emirates hills, Tecom, The gardens, Springs, Greens, Meadows, Jumeirah Island, Jumeirah park, Jvt, Jvc, Jbr, Victory heights, Sports city, Motor city, Layan community, Discovery garden, Arabian ranchers, Remraam, Dip, Green community, Emirates golf. 2: Is there any minimum hours per visit? Yes. There is a Minimum of 4hrs per visit. 3: Will have the same maid on every visit? 4: How can trust your staff? 5: Is there any contract to sign? 6: What happens if i am not happy with my cleaner? 7: Can i leave the notes for cleaner? 8: What are the payment method you have? Payment will be made end of the session in cash, cheque, bank transfer or on-line payment. 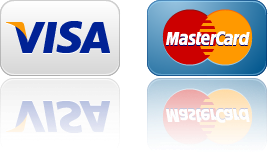 We accept payments on-line using Visa and MasterCard credit/debit card in AED. Any dispute or claim arising out of or in connection with this website shall be governed and construed in accordance with the laws of UAE. United Arab of Emirates is our country of domicile. Weekly or monthly contract must be paid in advance. 9: Who cleans my home? Male/Female philipina maids employed by maid.ae™. They speak and understand excellent English. 10: If i have some complaints & suggestions about your service, where i can report? You report us within 24hours in our toll free number:800404 or mob:0503440113. 11: Who provide the cleaning materials, products and equipments? 12: What happens when a maid break something?